Spinning in Purple | Curiousity? It was mostly too hot to spin this summer (and I was too tired due to pregnancy) but I did get one nice ball spun up. This is another hand-dyed piece from Kashmaier Creations. I think this was the BFL, although I seem to have piled my labels together in the bottom of my spinning bag so I’m not 100% sure. 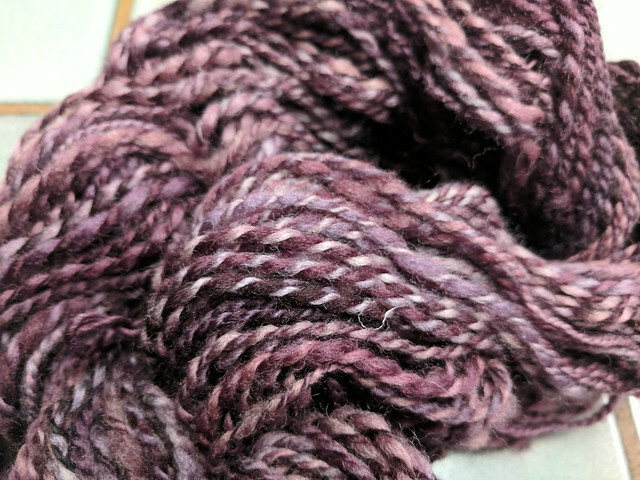 Kathy’s also been showing off all kind of neat experiments in dyeing and new fibers for her fall lineup. I’m so excited! 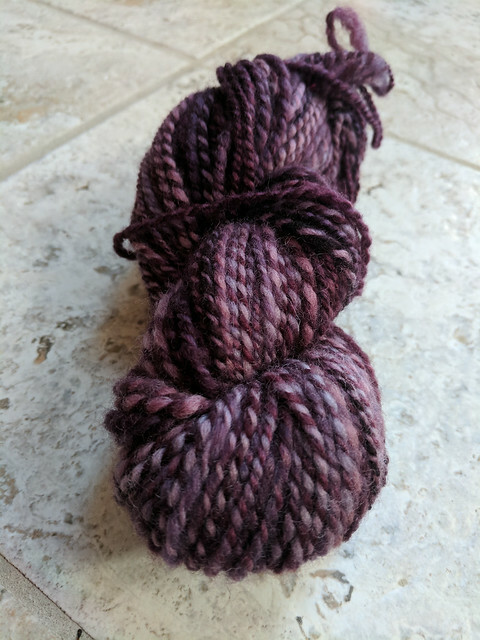 I haven’t done the full 4oz that I had, because I think this is going to be a hat. I’m really pleased with myself for not over-twisting this one so much. Should be ready to knit without much fuss when I get that hat started. I’m scheduling posts so long in advance (since I’m on leave right now) that it might even *be* a hat before this gets posted, to be honest! I liked spinning this particular fiber quite a bit, possibly because I’d just come off spinning the much more fussy and messy white merino/silk blend. The BFL has long enough “hairs” to still be easy for me, and soft enough that I’m super excited about wearing the finished product, plus, of course, those colours really make it satisfying as you go. 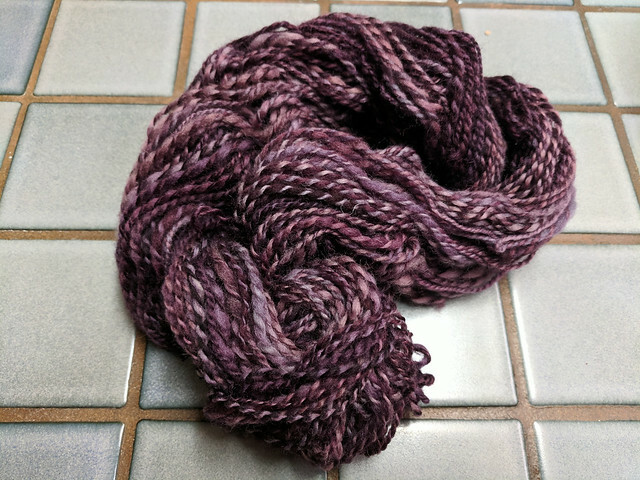 Trying out new spinning fibers has really helped me understand the architecture of yarn in a different way, and I think it’s made me a better knitter and better designer, as well as just someone who has a deeper appreciation for the craft. 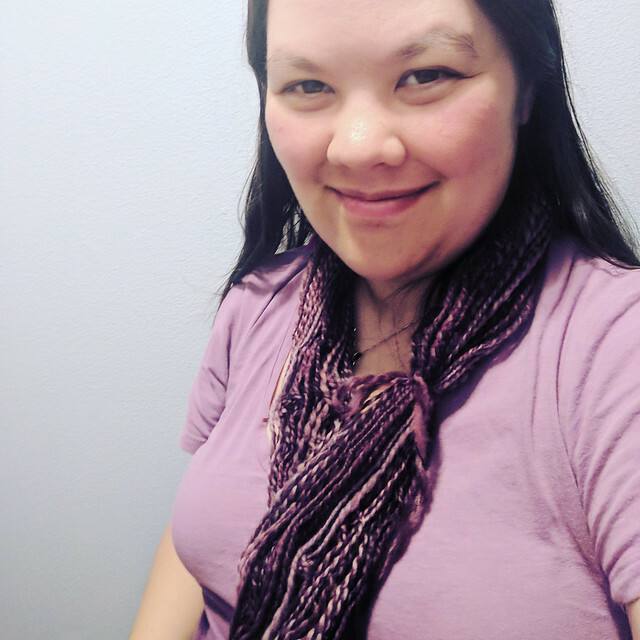 I know people often hesitate to take on new hobbies, but this one has given me so much more than just the ability to make my own yarn and I’m glad I invested the time and equipment into learning.